1. The reflection of volume is added in percentage (at a change). 2. A reflection of bitrate is in a main window. 7. Other minor graphic improvements and some errors are corrected. Just in few words - Brilliantly and Amazing !!! This is an amazing skin. You've got talent. 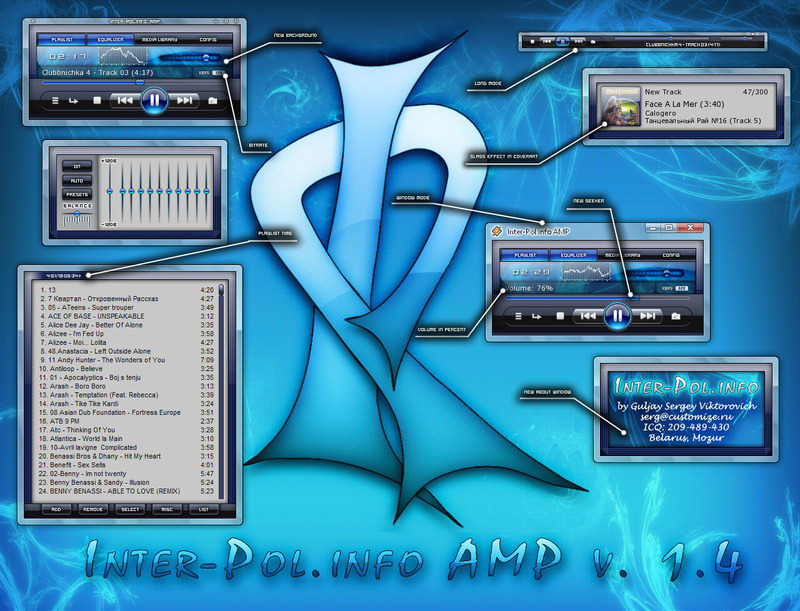 on winamp.com this skin have more than 1 000 000 downloads!! !